Our Cox 27 is a fine example of this well constructed and well maintained little motor sailor. Given her size she would make a splendid family cruiser for coastal and cross channel passages, with a degree of shelter and comfort that any pure sail boat (eg Centaur and more recent derivatives) couldn't hope to match. Like all Cox Marine products she was well designed and craftsman built at the outset and this shows in her having stood the test of time so well. 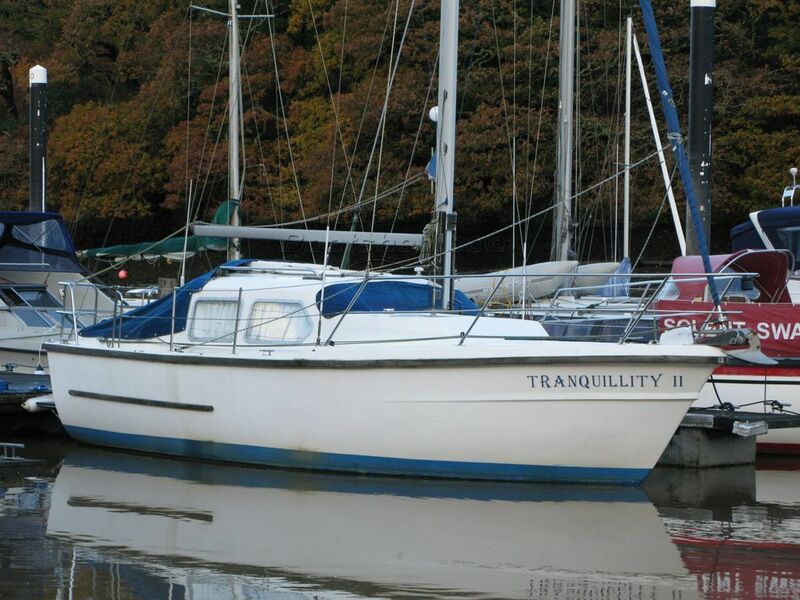 She is currently in commission and afloat at Neyland Marina, Pembroke and close offers are invited. This Cox 27 Motorsailer has been personally photographed and viewed by Alan Coy of Boatshed Wales. Click here for contact details. Please note this comments section is public. Please do not post your personal details here. To enquire about purchasing this boat, please contact the broker directly at mike@boatshedwales.com. Please read our commenting guidelines before posting. So where to find out about the auction info .